Image credit goes to NetDirekt and their 404 page design. When a user lands on your 404 pages, it means that something went wrong. Either the user clicked on a broken link, or they may have mistyped your URL. For more information on what exactly a 404 page means, why not take a look at our "What's in a 404 page?". Whatever the reason, landing on a 404 page is by no means convenient for user, or website owner. 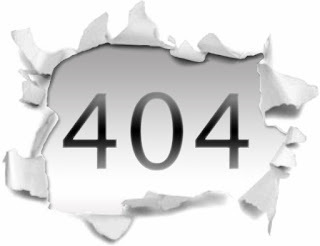 While a little humour – “WOOPS try again, click here” could be added to the 404 page, it's important to stress that the main message should be to let the user know that they haven’t reached the end of their journey and to provide useful options/navigation posts to help them find the page they seek. Include a simple / apologetic statement. Add a site search box to the 404 page. Add a link to most popular category pages along with a list to the website onsite sitemap. Provide a link to a contact form, so that users can reach out to you directly. constructive in suggesting steps the user can take to correct the problem. We advise our clients to regularly check their analytics to monitor the amount of times people have seen the 404 pages. If the error page is in your top 20 content pages, then there is a clear problem with your site's design or navigation. The Flashlight team regularly send each other good looking 404 pages, please check out one of our favourite lists for creative error pages, although these 404 pages ooze creativity, some do lack some of the usability / useful features that Jakob talks about above. If you think your website could do with some improvements, and not just in terms of 404 pages, why not get in contact with our sales and web development team here at Rocktime.